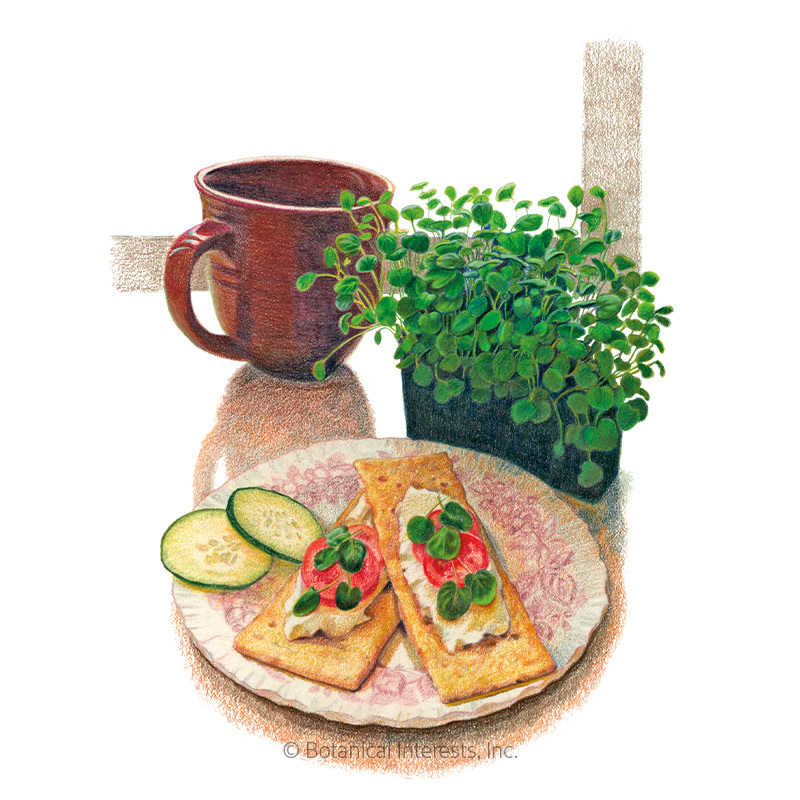 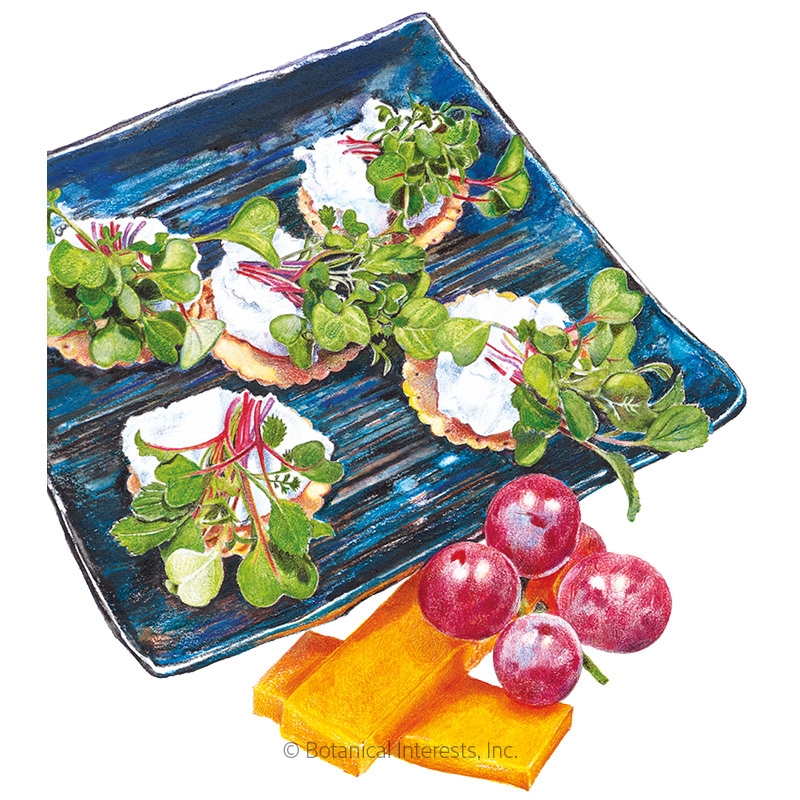 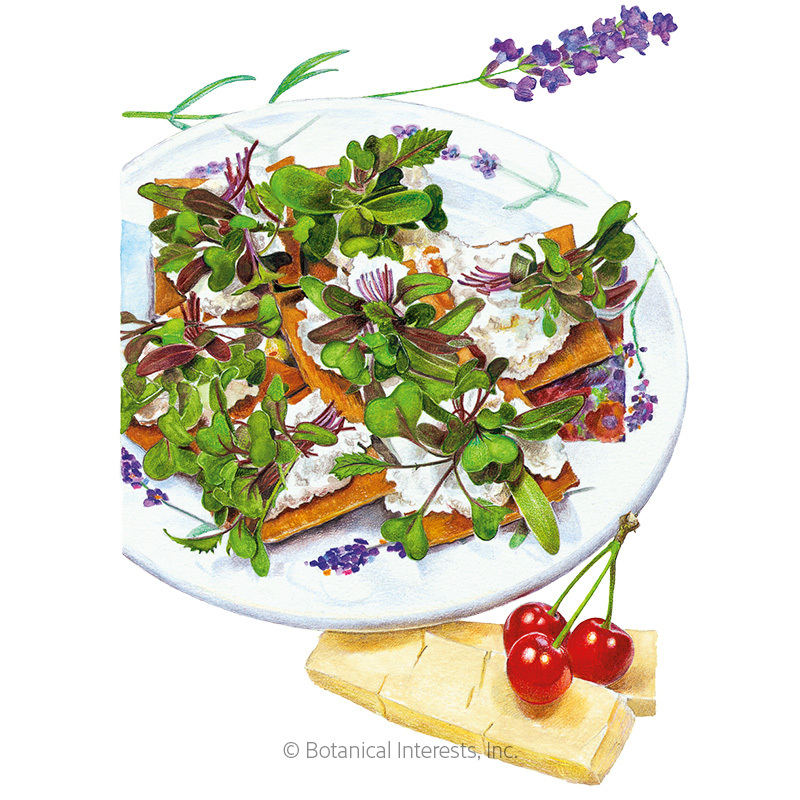 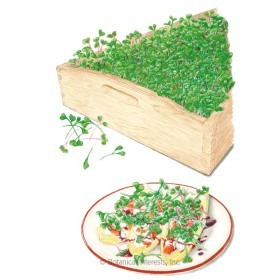 Microgreens is a term used for both individual varieties of vegetables or herbs, and mixes of vegetable and herb varieties grown for their youngest leaves. 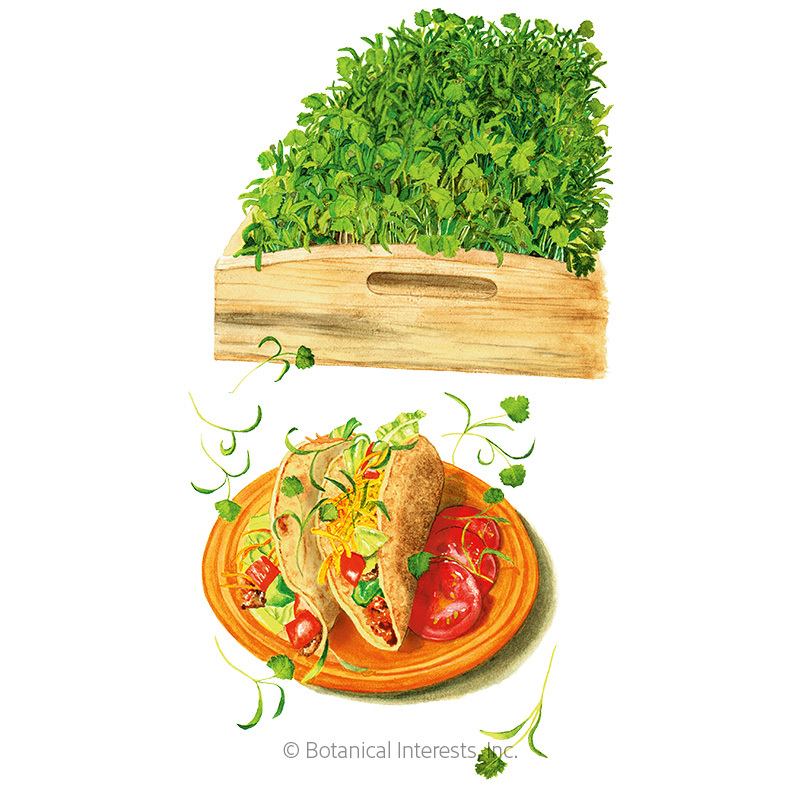 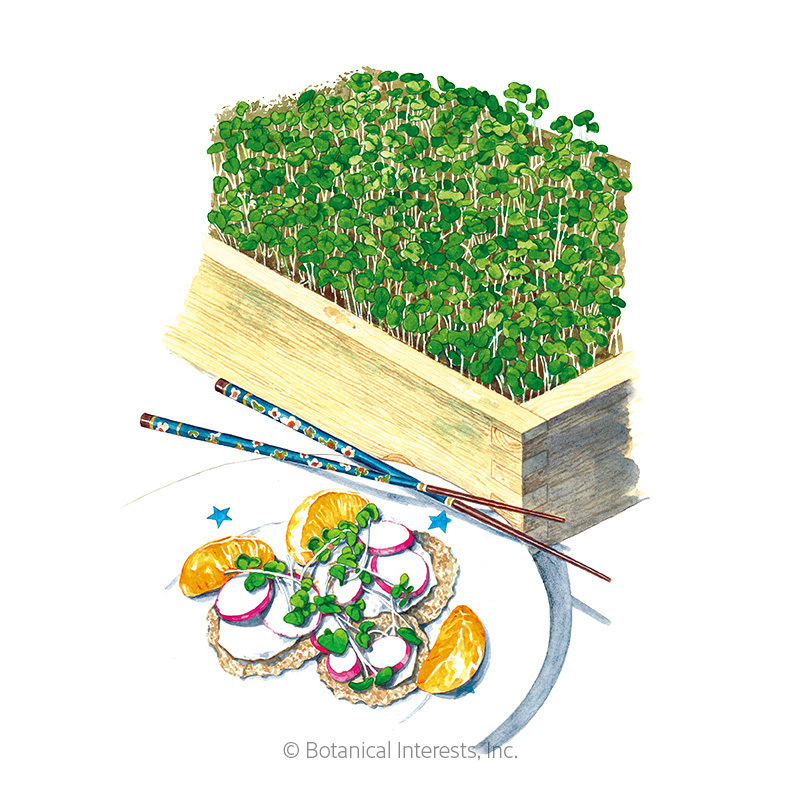 Microgreens supply a very flavorful and condensed dose of vitamins, minerals, and phytonutrients—up to forty times as much as their mature counterparts. 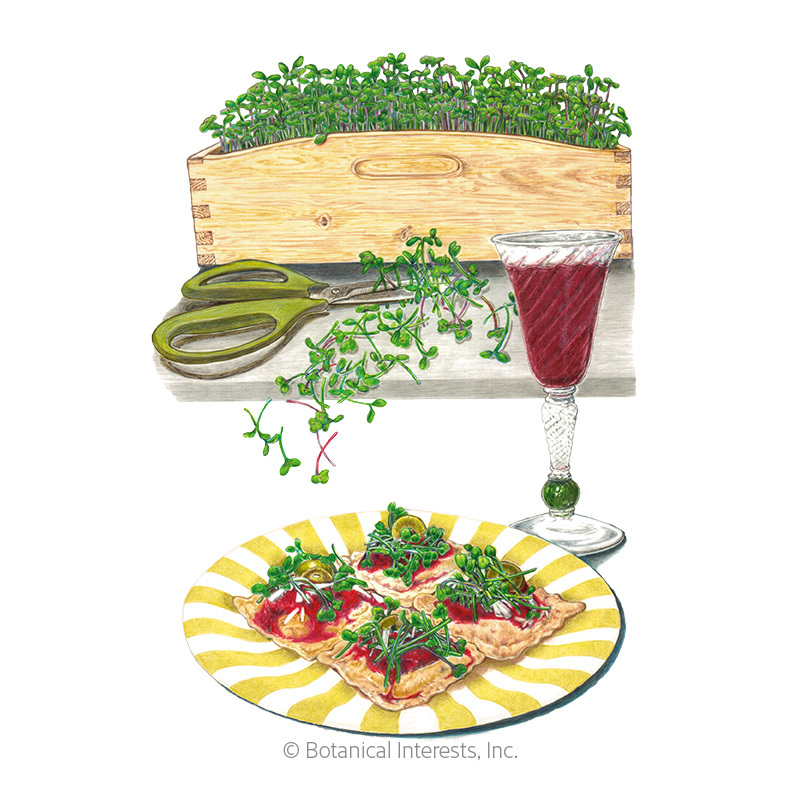 Grow them indoors at any time of year. 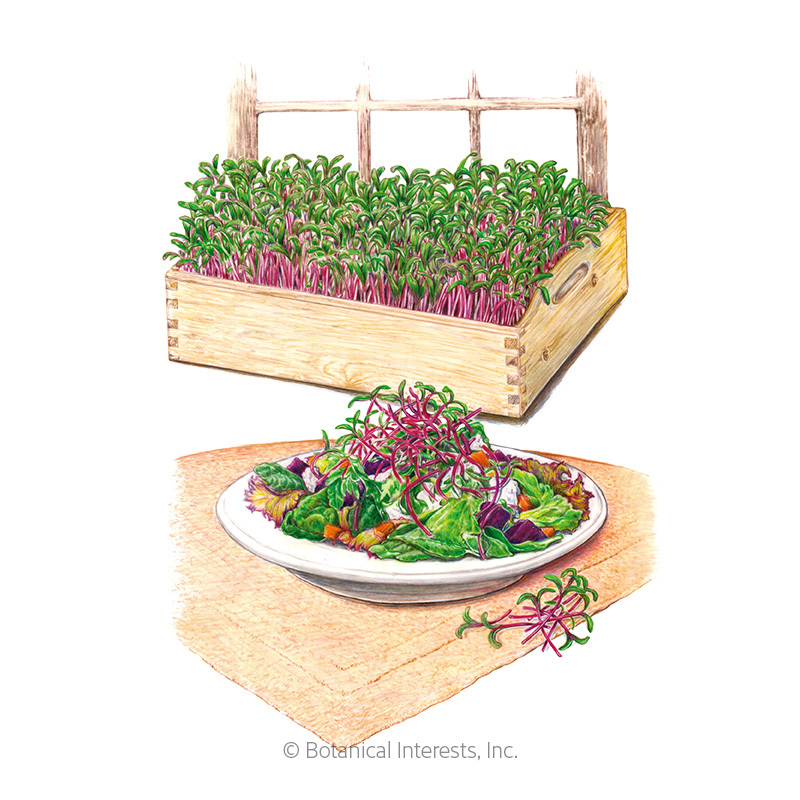 Place the growing container on your dinner table along with a pair of scissors and let guests serve their own. 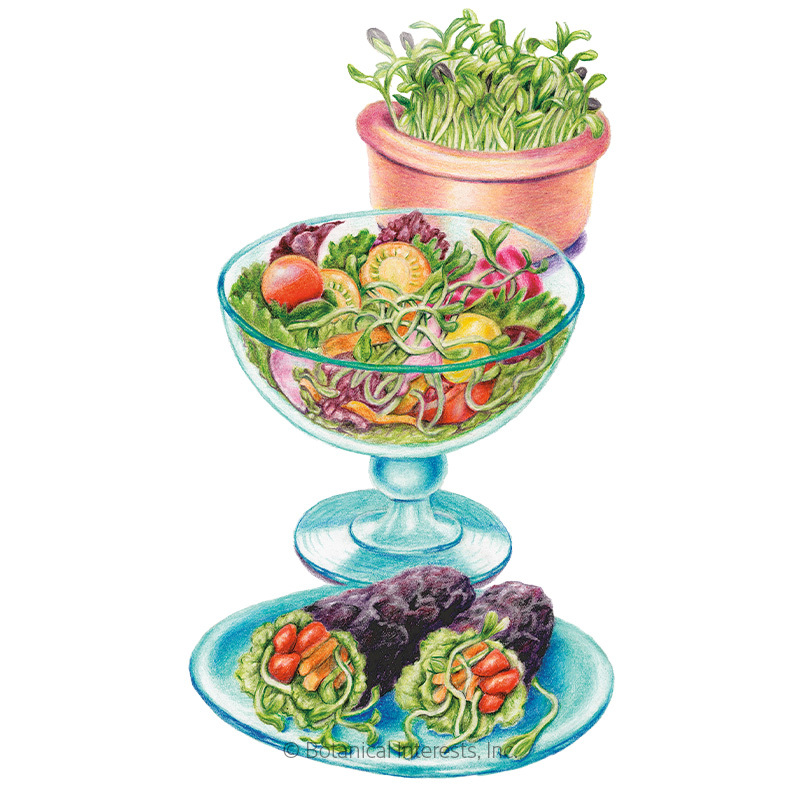 It's like passing around a mini garden! 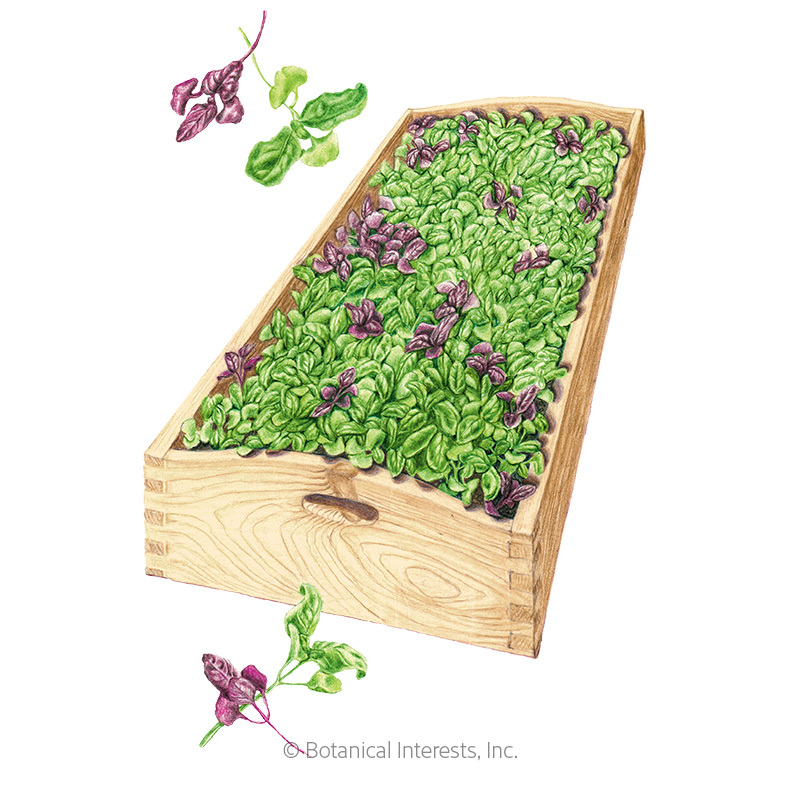 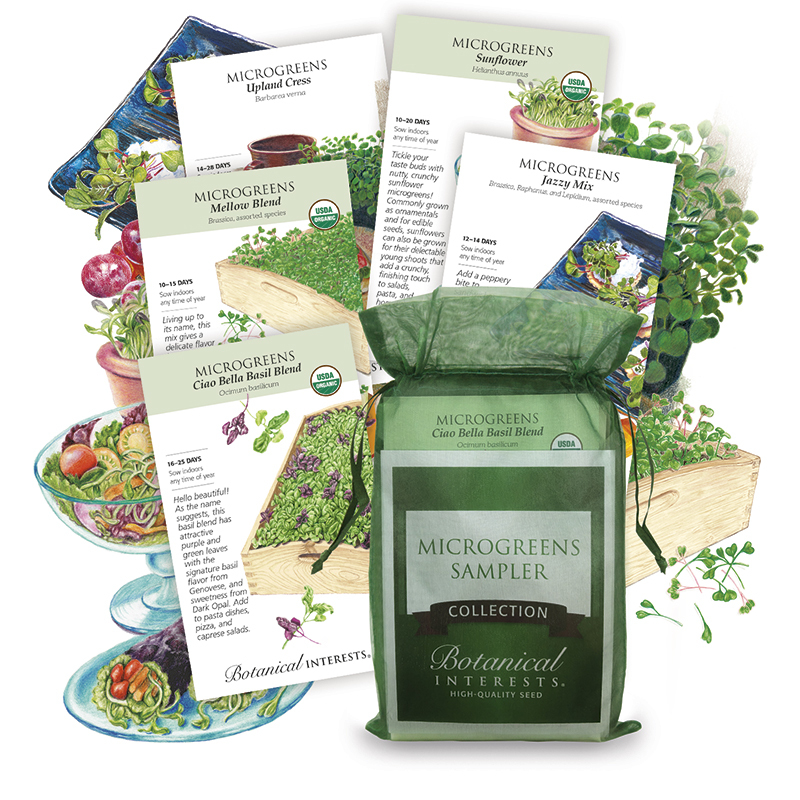 Discover our microgreen seeds for beets, herbs, Swiss chard, mustards, and more! 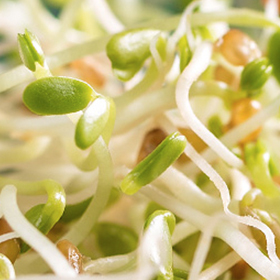 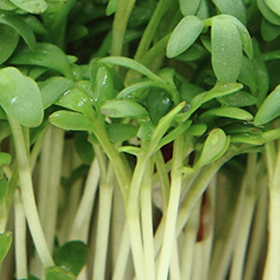 Microgreens and Sprouts What is the Difference?